We hope you had a GREAT Thanksgiving and are enjoying a relaxing weekend with family and friends. Ruth Chou Simons announced the winner of our GIVEAWAY on her IG account Thanksgiving night and we wanted to say CONGRATULATIONS to the winners here as well! But since that was SO fun, we thought we would do another GIVEAWAY! This time the contest will be on our IG account artandfaithcreative and you can enter to win NOW! 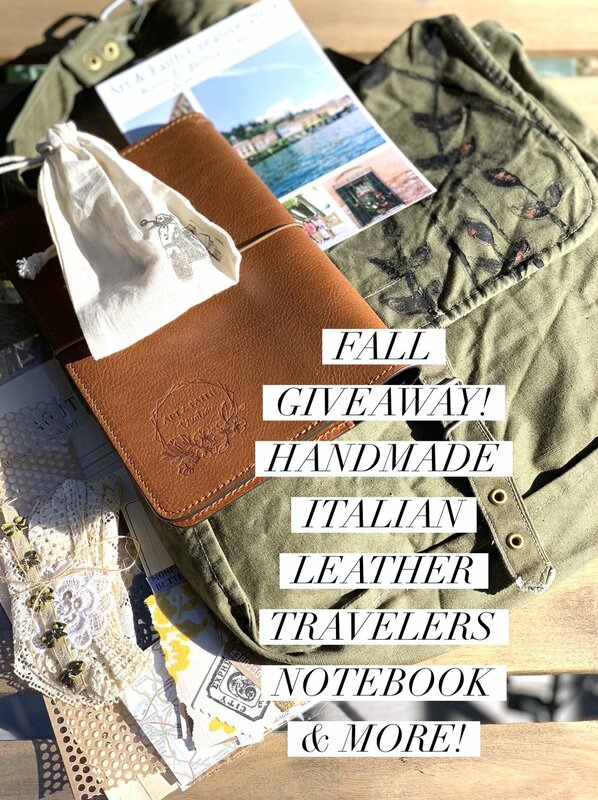 We are giving away some goodies from last months retreat in Italy. 4 An ephemera package from one of my classes last month in Italy. Just find us on Instagram and follow the rules to enter. We will announce the winner on NEXT Saturday, December 1st. Good luck! !